With more than 27 years of experience in the financial services industry, Tracey knows that building and maintaining quality professional relationships is the key to creating an exceptional client experience. In addition to helping maintain the high level of service we provide to our clients, she is dedicated to ensuring that the firm’s business operations run smoothly. Before establishing Dewane Investment Strategies in 2004, she worked in various capacities for Prudential Securities, Smith Barney, Merrill Lynch and Wachovia Securities. She also served as senior sales associate and team leader for Oppenheimer & Company, where she supervised client service issues, account administration, compliance requirements and operations analysis. 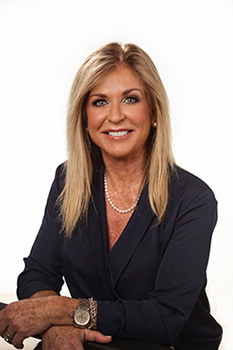 Tracey studied economics at Cal State-Long Beach and holds several industry licenses, including the Series 7 (general securities representative), Series 63 (uniform securities agent licenses), and Series 9 and 10 (general securities sales supervisor). In addition, she holds life insurance and variable annuity contracts licenses. Tracey is from Potomac, Maryland, and moved to Newport Beach in her early teens. She lives in Costa Mesa with her husband and partner, Shawn, and children Ryan, Cristina and Shannon. In her free time, Tracey enjoys running, traveling, gardening and cooking. She also enjoys serving as a volunteer with her children’s schools and football, lacrosse and soccer programs. She also supports CASA and the community organizations Shawn is involved with, and participates in and raises funds for the yearly Breast Cancer Race for the Cure.